LOCO FOR THE COCOA?? Then this is your pretzel! 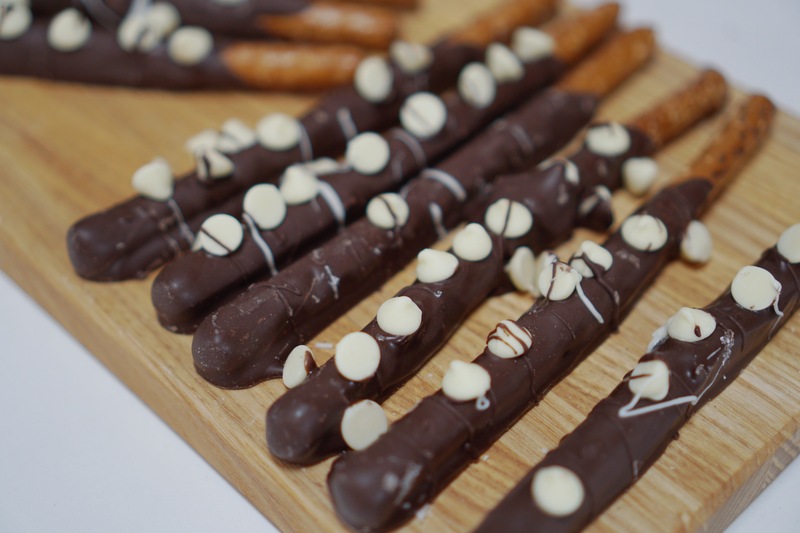 Each pretzel is covered in a chocolate candy coating then topped with white chocolate chips! 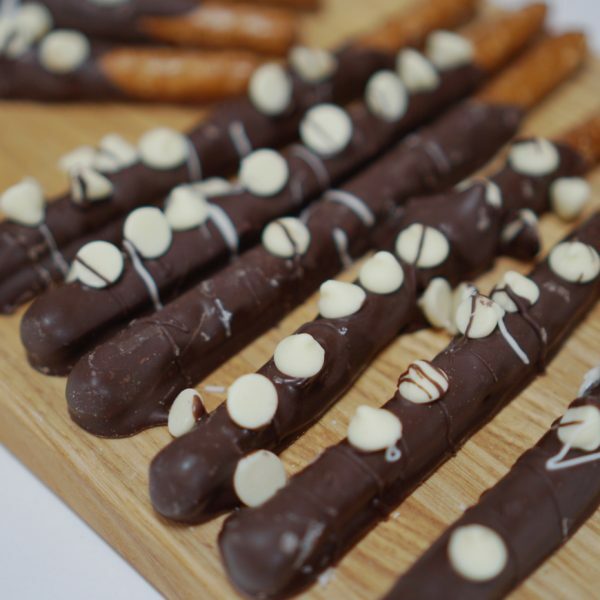 SO MUCH CHOCOLATE!